Alex and Savannah want robots to take everyone's jobs (no, seriously). This week, Alex and Savannah look forward to the multiplicity and shame a new sexist robot. Savannah brings a smart toilet to Alex's attention, a backwards lady robot confronts the Polar Vortex, and there's a major update in the scoot scoot department. Alex and Savannah get into robot researchers, robot grifters, and how it’s not great to make love to your money. 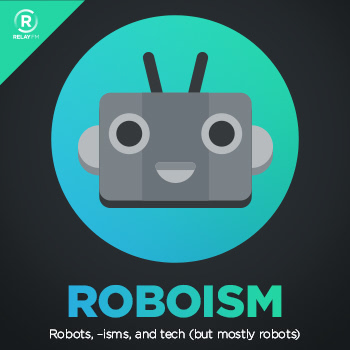 This week, Alex and Savannah give you a blast from the past from their interview with roboticist Adrian Choy, who leads the engineering team at the Museum of Science and Industry's Robot Revolution exhibit. This week Alex talks to guest host Trin Garritano about the possibilities fora solarpunk future! Alex brings her friend Vector into the studio to see if Savannah will save them from an grease fire. This week, Alex grills Savannah on her ability to anthropomorphize robots. Is she a monster? Let's find out! This week, Savannah and Alex talk about focus and attention while not being able to focus on the topic of attention. 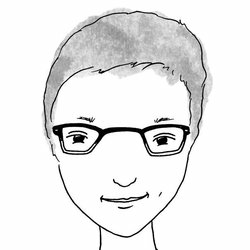 The delve into internalized mysogyny, phantom taps, capitalism, and Animal Crossing. It ends up be cohesive. They promise. This week, Alex and Savannah are joined by writer and game designer Karlee Esmailli about her most recent Kickstarter campaign, immigrant women in tech, and whether or not virtual reality will embrace the female gaze.